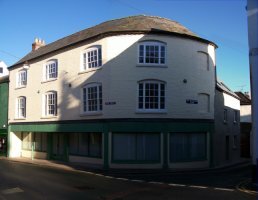 The Nags Head, Ross-on-Wye, dates back to the early 1750's. 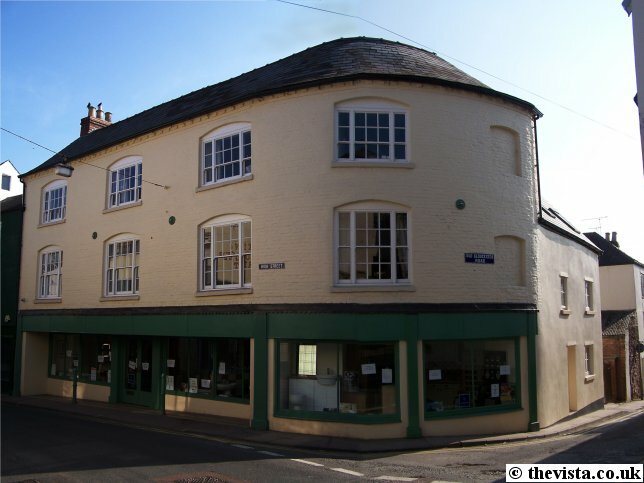 By 1790 records show that the Purchas family, from the Fownhope Brewery, had arrived in Ross as Wine and Spirit Merchants and soon afterwards the Nag's Head was offering their products. At this time the Nag's Head was brewing it's own beers and offering various other local Ales, Porters and Ciders. 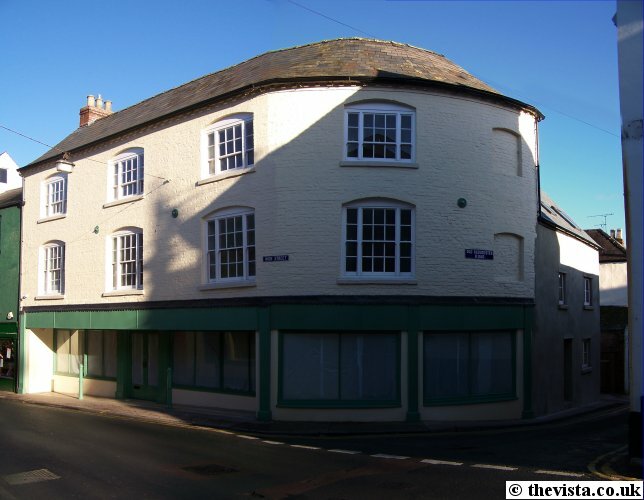 In 1821 the High Street and Old Gloucester Road were the main thoroughfare through Ross. This meant horses and carriages had to go around the sharp corner between the High Street and Old Gloucester Road. In 1821, King George IV came through the town after doing some business in Ireland and a dray man had parked his wagon on the corner between the High Street and Old Gloucester Road whilst he unloaded at the Nags head and the horses had been removed from the wagon to allow them to rest. This blockage meant that the King had to wait until it was moved. He was not at all pleased and he went to the pub opposite called 'The Butchers Arms'. He then set about planning the town's future and he threatened to remove the town from the main coaching route unless this was kind of problem was sorted out. This was a serious threat as the coaches brought a lot of revenue to the town. So to avoid this fate, in 1825, the current Gloucester Road was constructed and, later, 'The Butchers Arms' was renamed to 'King George's Rest' in commemoration of the visit. 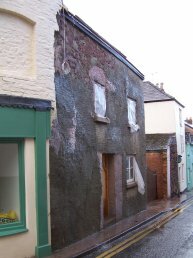 The Nag's Head was converted into a shop in around 1960. 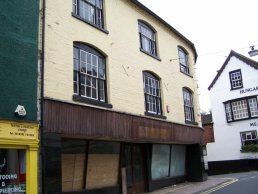 By 1975, "Rowberry & Co.", who were central heating engineers, were using this as their shop and from around 1980 to around 1988, I remember it was "Scimitar DIY" (who then moved to the Top of Henry Street). After that it was briefly "Bradley Hill Workshop", who sold collectables and art materials and did seat repairs, and they shared the shop with "Writing and Advertising Services", who did design and print. Once they left, it remained empty. 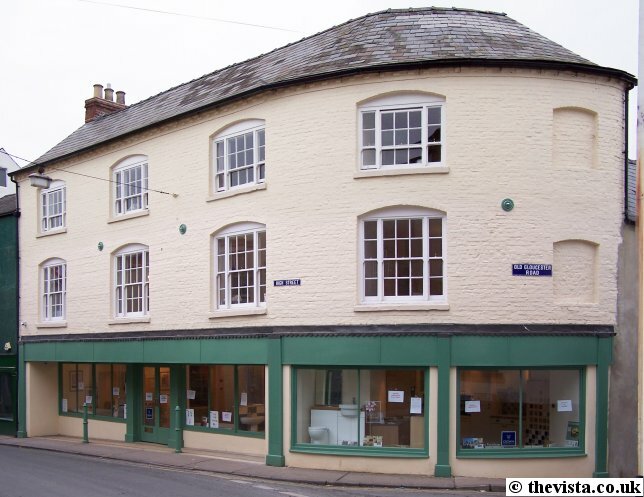 Martin has kindly allowed me to use the following photos that were taken of the building before and around the time that Martin and Helen bought the building. 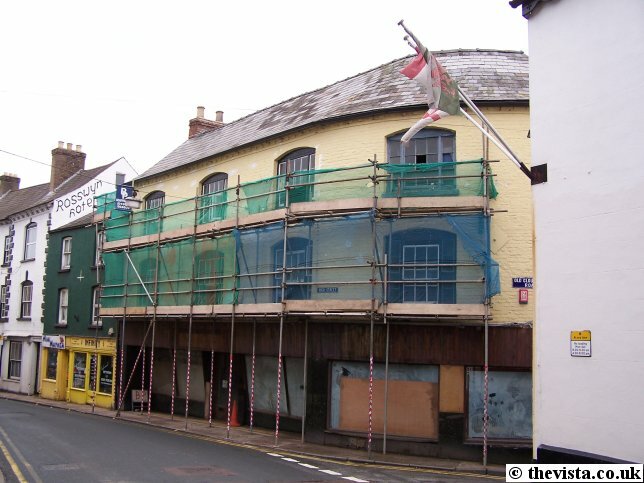 Prior to their purchase, the building was reroofed and Martin was already eyeing up the building at this time. 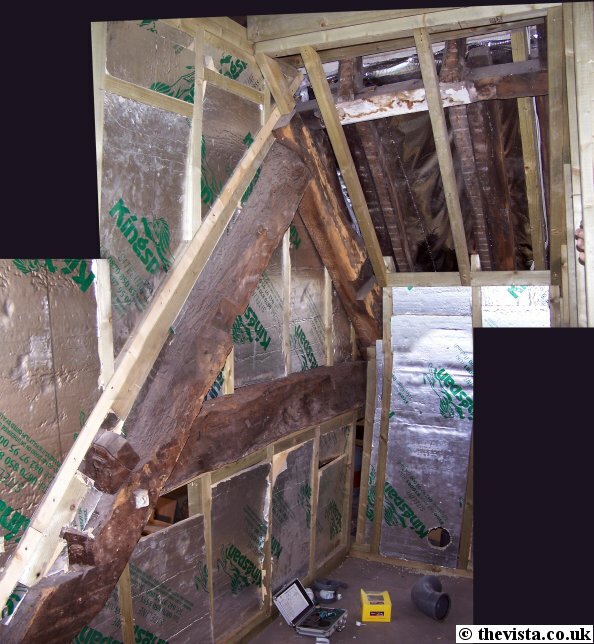 The reroofing and treatment of the timber was done well and apparently cost around £35,000 to do. 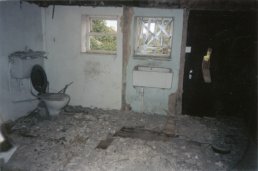 This is a good indication of the derelict state of the interior of the building. Here we can see the state of the rear of the building with all the windows smashed and doors missing. This was taken at about the time the building was purchased. 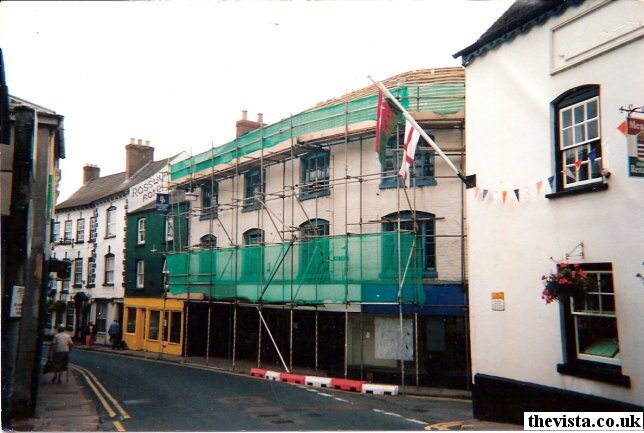 The scaffold to the right had been erected several years previously as part of an attempt to stop the roof on the rear of the building collapsing and to try to cut down on the amount of water leaking in. 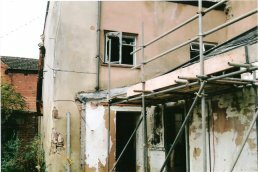 When Martin and Helen bought the building the front of the building was in quite a state. It was used as a local dumping ground for rubbish and the windows sills were completely rotten and desperately needed work. 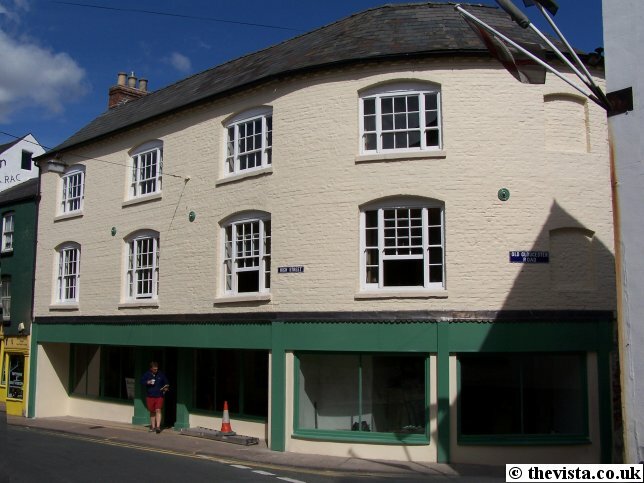 The tiled fascia around the frontage had been damaged and the corner of the building at the entrance to Gloucester Road had been hit and scraped by many vehicles as they passed. The building is in a very poor state of repair with many smashed windows. Reports around this time say that the stairs from the ground floor up had been cut away and a toilet fitted where they used to be. 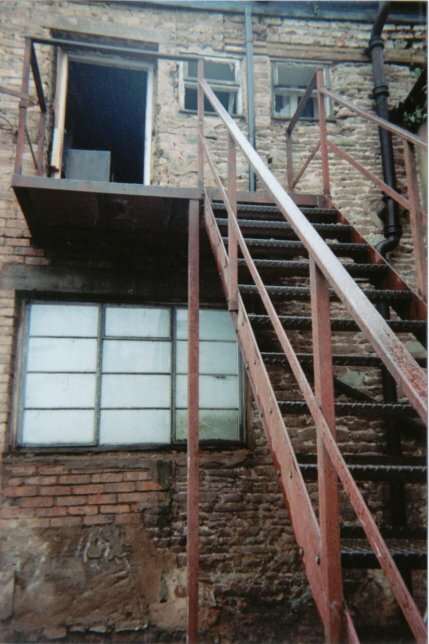 Therefore, in order to access the upper floors, the toilet had to be used as steps to access the remains of the stairs. Once on the upper floors, the back of the building had subsided and so the corridors that run the length of the building were angled at a 30 degree slope making them very hard to walk on and potentially unsafe. The following are some photos I have borrowed, and kindly been allowed to use, taken by Martin from around the time he purchased the building. Below is how the fireplace and window were in the main room on the first floor. 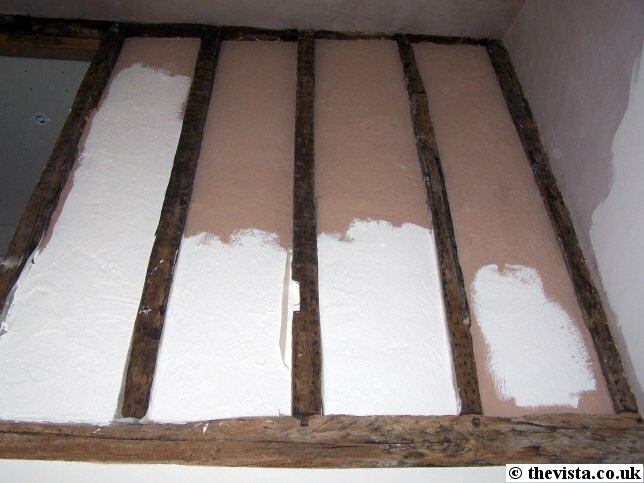 The windows were very low, only just above the skirting, and the fireplace had been blocked up. 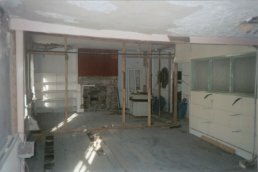 The floor boards had been taken up and were missing. 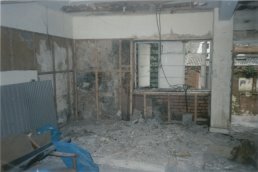 This room is being converted into the living room and the fireplace has been opened up again. The floor has been lowered to place the window at a more practical height. This was the main corridor on the first floor. The floor had basically been abandoned and the central heating pipes ran up the corridor. The state of the lath and plaster walls and ceiling can be seen in the photos as much of it had been damaged by water and general decay. In the background you can just see the doorway. 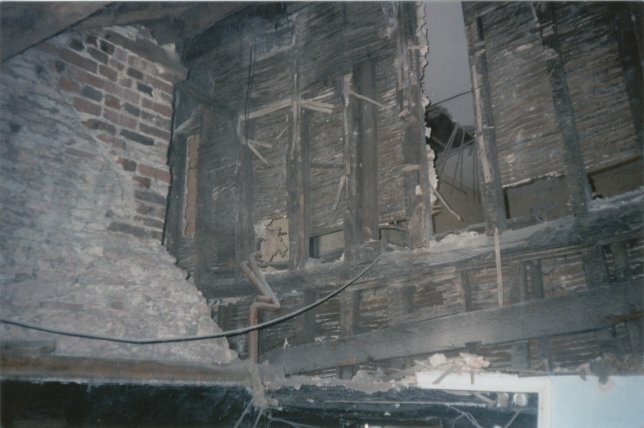 The doorway shows just how badly the back wall had collapsed and why the structural engineer was so concerned. The floor was on a strongly defined slope and the whole door frame has skewed. 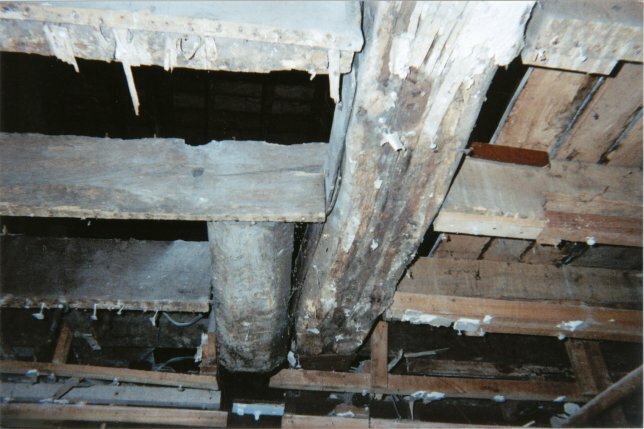 The second floor rooms were full of pigeon droppings, up to about 6" deep. 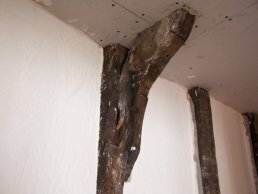 The beams in this wall, dating back to the 18th century, has been retained where possible. The retained wall can seen further below. 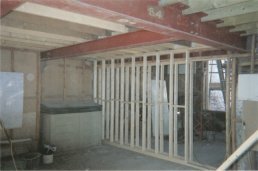 This is the rear wall of the building, that will house the stairwell (now called the atrium), with a fire escape from the upper floor and a window in the back of the shop. 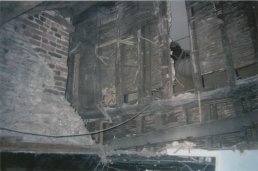 The inside of the atrium was particularly bad with the ceilings having collapsed and the building having been damaged possibly by vandalism and general decay. 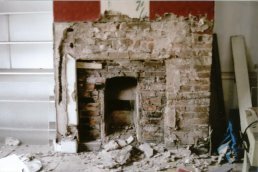 After work started the fireplace was opened up and had been bricked up several times before it was covered over. 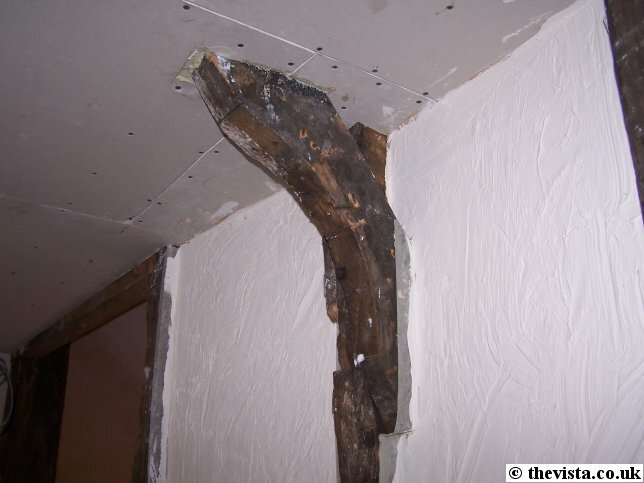 Across the studding in the middle of the room, is one of the original tie bars that were holding the front and back walls together. 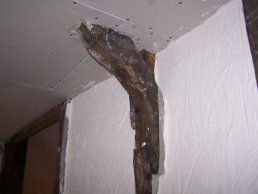 Once the cladding was removed from the beams, it was found that the building had been extended. In doing this the original short had been left in place and a new one put beside it out to the back wall. The two were then fixed together using a steel plate. This supported the upper floors and went some of the way to explain why the building was collapsing. The main stairs to the upper floors, as seen in the photo, were found to be unsupported by anything except the wall coverings. In the background the holes in the walls are quite clear. On the internal shot looking towards the atrium, part of the massive 18" high H-frames can be seen. The studwork is being added in the back of the shop to separate the two parts of the building. 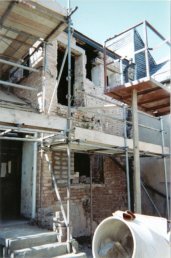 The rear of the atrium has had the upper and lower windows removed and is being prepared for a single tall window to be fitted in their place. 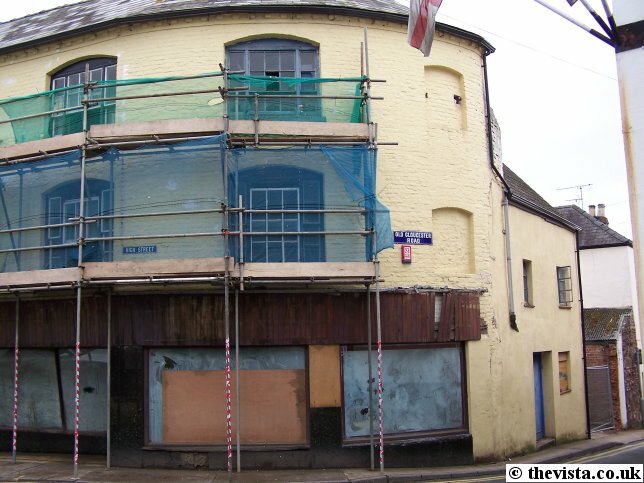 Here the front of the shop has been removed. 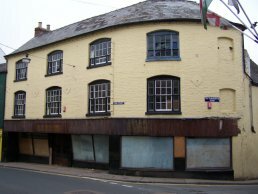 In the middle-right it is possible to see part of the old green shop frontage. 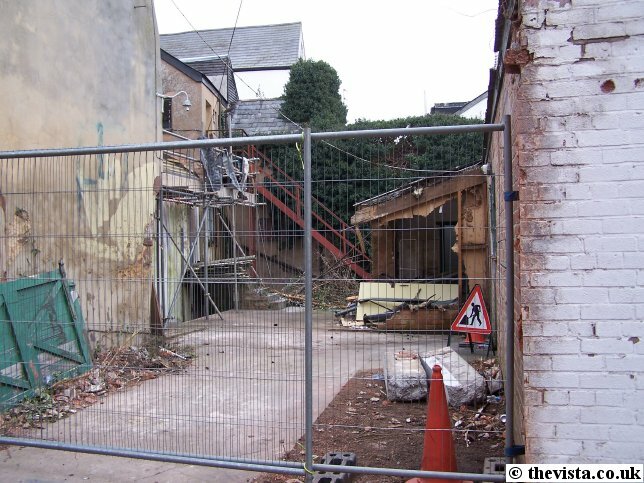 Here we see that work has started clearing the back of the building. The garage style doors and frontage have been removed to allow easy access. 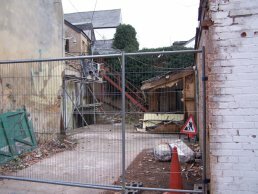 The small building to the right was an asbestos clad toilet building. 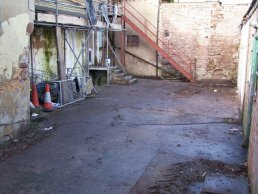 The rear of the building has been cleared allowing work to start on the rear of the main building. 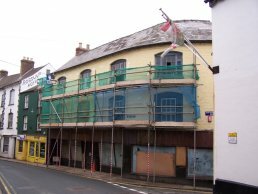 Scaffold has been erected to allow access to the front of the building and to allow the windows to be replaced. Here we see that a lot of work has been done on the building. 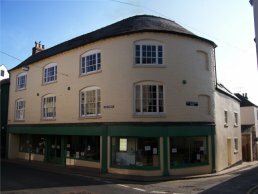 The shop front has been tidied up and the windows straightened from their original "1960's" angle. 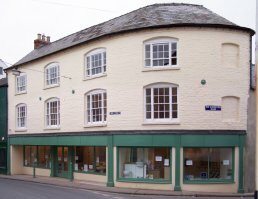 The upper floors have been converted into several town houses. 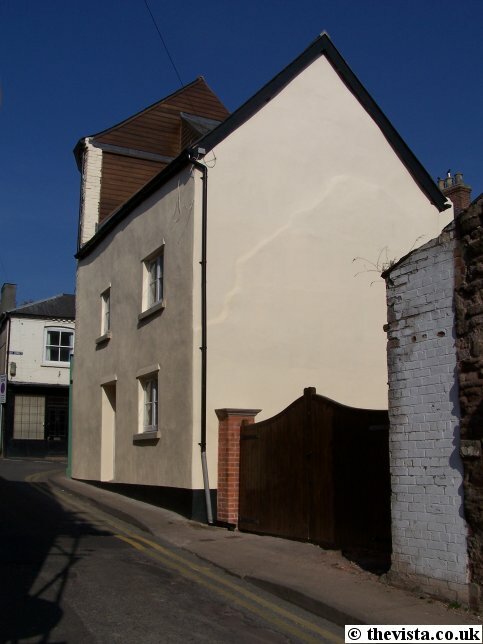 The building has been painted and it is a great improvement over the dereliction that was there previously. You can see Mr. Martin Bundy who, along with his wife, Helen Bundy, have been renovating the building. At this point Mr. Bundy was chasing me up the street to find out why I was photographing the building, and checking it was not too ominous. Here we see that the inside of the building is being painted and the lighting is being fitted and that the side of the building is nearly complete. 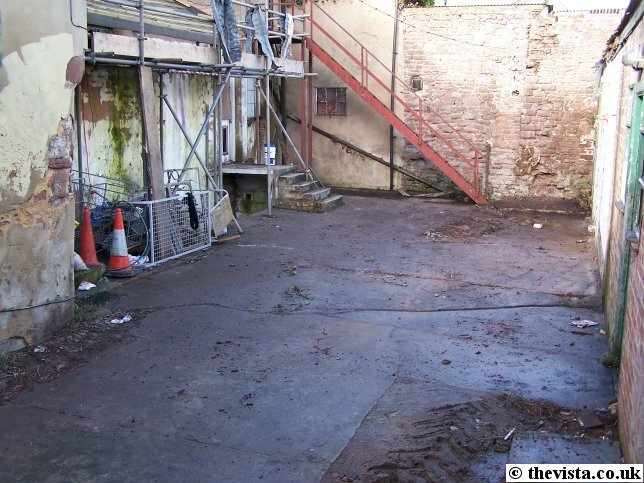 The back of the building has been greatly tidied up and the redevelopment of the rear of the building is very clear. Today, whilst taking a quick snap of the outside of the building, I had a chance to chat to Mr. Bundy and take a look around inside the building. 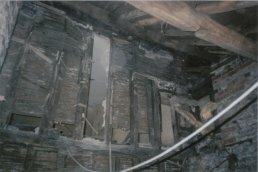 It is quite amazing the efforts that are being taken to conserve the interior of the building. Martin initially took on the project on a bit of a whim as he did not like to see the building falling down. Little did he know the size of the project that he had actually taken on. As previously mentioned, the building was in a very poor state of repair. 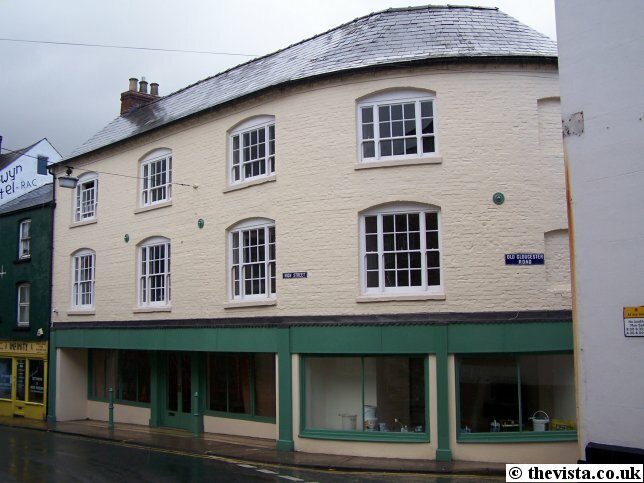 Martin then sought advice from a structural engineer to find out what was needed to get the building back into shape. 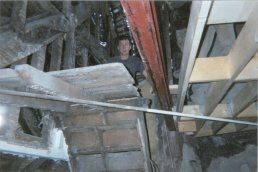 The engineer took one look around the lower floors and refused to go to any of the upper floors and marked the building structurally unsafe and refused to allow anything to be done to the building until it was made safe. 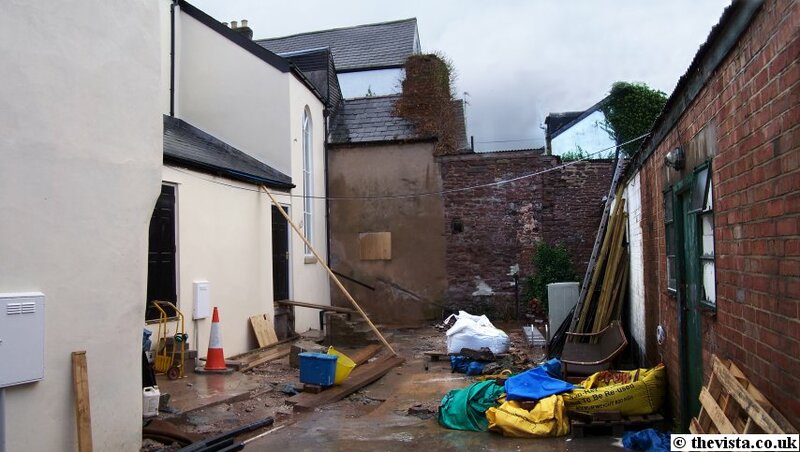 This was the first shocking find of the project and meant that some massive acro props were immediately needed to maintain the structural integrity of the building and allow any work to start. 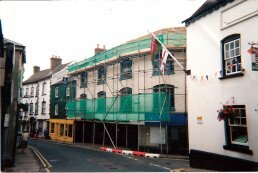 The front and back of the building had to be tied together using tie bars and the whole building has been reinforced with massive RSJs. 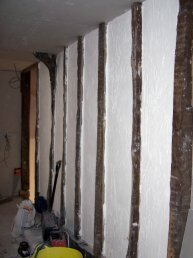 These have been very carefully incorporated into the building so that they are not visible at all within the interior. After this was sorted out, the 30 years of pigeon droppings needed to be dug out of the upper floors where they had come in through the broken windows. 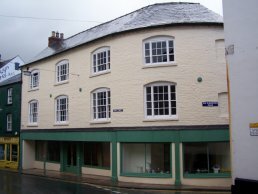 The sliding sash windows were replaced with new ones built to the extract design of the original ones right down to the small details of the catches and fixings. Being as nothing is square in the building, this must have been an interesting task as each one was slightly different. A hardwood set of stairs are soon to be fitted and the design is quite complex and the lack of square walls must be making their design a tricky task plus the space is quite tight. Once done the false walls and rotten floors were then removed and as much of the woodwork saved as was possible and none of the interior brickwork was removed. 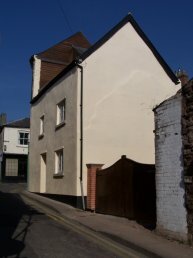 The wall, seen here, is at the back of the site and reaches from the bottom of the cellar up through the building. 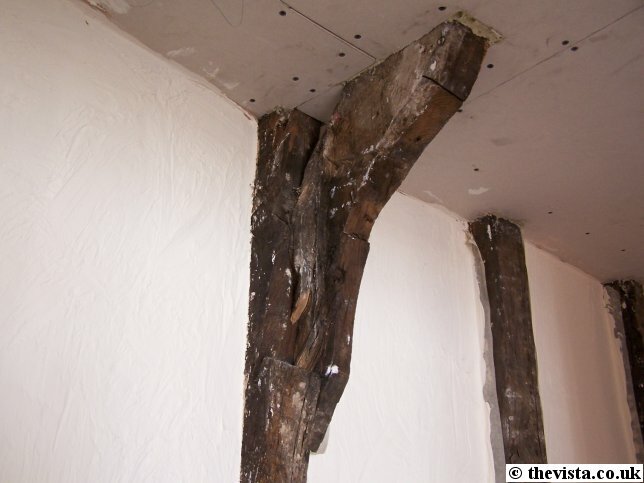 This is the oldest part of the structure dates back to the 15th century. This wall was part of a cottage that was here before the Inn and both the wall and cottage were incorporated into the Inn as it was built. Some of the remaining roof trusses were removed during the redevelopment. 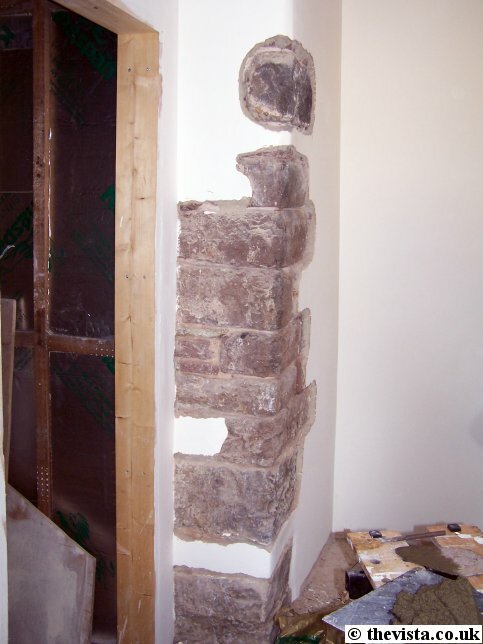 During the development of the building, the stones were numbered and removed and have now been replaced into their original position and left exposed as a feature wall. The walls in the pictures below date to the 18th century and are an original part of the Inn. 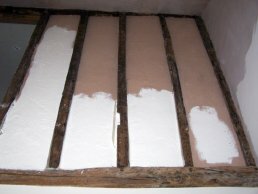 The wood in both of these was removed, treated and replaced into its original position. 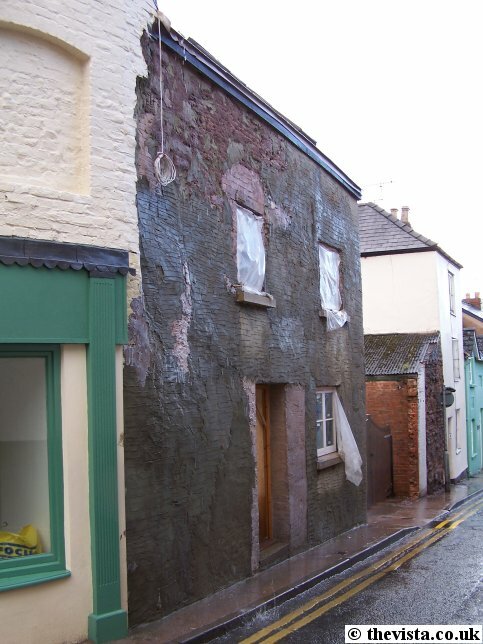 This theme has been carried throughout the building and the outside has been rendered using lime wash which is made using special double washed sand. This is as close a match to the original exterior of the building as possible. Below is the end of one of the original roof trusses which support the roof. The corridors on the upper floor match as closely as possible the original layout only deviating where necessary to make the layout practical. 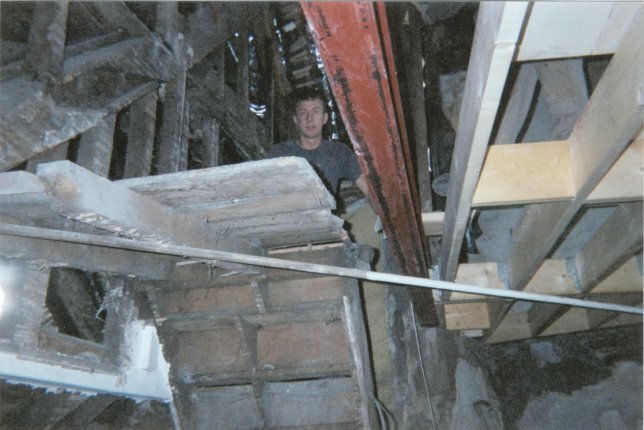 Here you can see that the truss was cut away to help avoid injury to the Inn's customers. The roof of the building has a very distinctive curve. 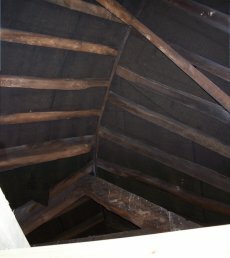 Below is a shot of the inside of the curved part of the roof. All of this is the original woodwork. The roof space runs the full 22 meters along the length of the building. Martin originally planned to have a vaulted roof to make a feature of these but it was not in keeping with the building so he decided against the idea. To the right is an A-frame that supports the roof of the part of the building that follows the line of Old Gloucester Road. Certainly an interesting interior feature. 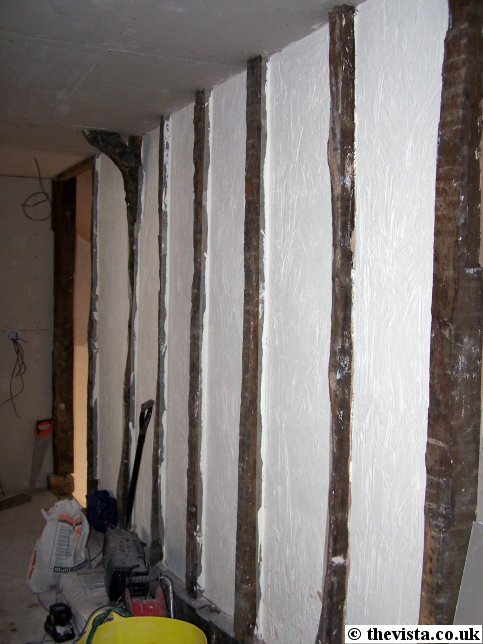 The work has been done very sympathetically retaining the original features wherever possible and there are still several months of work to go. It will be an amazing house once complete. 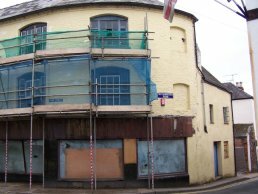 It was interesting talking to one of the people working on the building as they remembered drinking in the pub around 60 years ago with music blaring. 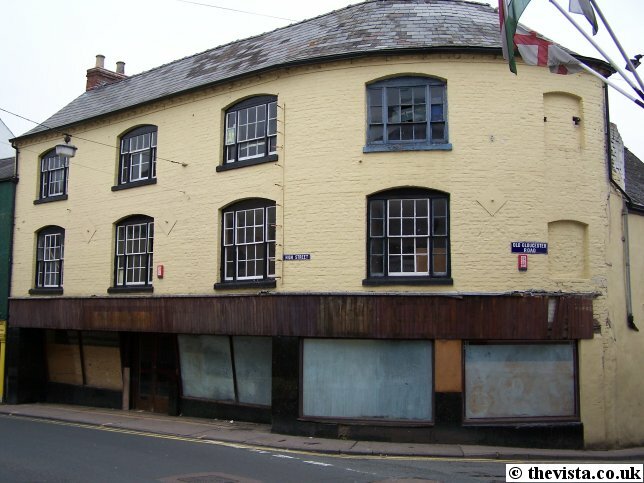 He also commented that it was one of the closest pubs to Wales thus making it was a popular place. 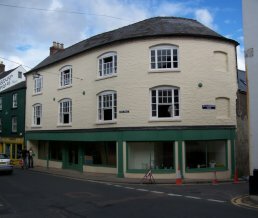 The windows have been covered up as the internal shop fittings are completed. The shop has recently opened as a kitchen and house fittings shop. The small building behind the shop has been painted and is well underway to beiong completed. The gated entrance will also soon be completed.